Derek: The Zante line has been a staple of New Balance running shoes since 2015, and has a huge loyal following. The first Zante was in many ways revolutionary in that it really put a focus on how to design a shoe to make it transition faster and allow the runner to do less work per stride. That combination of firm heel-soft forefoot, full coverage outsole rubber, and very pronounced toespring created quite a fun, enjoyable, go-fast shoe. Over the next few iterations of the shoe, it got a little heavier and a little firmer overall, making it more of a lightweight trainer than a potential road racer. In steps the Zante Pursuit for 2019, with a new knitted upper and a throwback lower weight a full ounce lighter than v4. With that in mind, let’s see how these new puppies perform! Derek is in his 30’s and trains 70-80 miles per week at 7 to 8 minute pace in mostly tropical conditions. He has a 2:41 marathon PR. Kathleen is in her late 20’s and a former college 5K/10K runner. These days, she runs for fun and stress relief, about 30 miles a week between 7:00-7:30 minutes/per mile. Michael: Upper is one of the industry’s best; outsole, despite lack of scoring, is dynamic and gives a smooth ride. Derek: Upper does not provide enough lockdown for a speed-oriented shoe. Michael: Not quite a racer, not quite a trainer, the cushion falls in-between. Hope: The Zante Pursuit continues the line’s tradition of high toe spring, as you can see in the comparison photo next to the Zante 1-4 -- the sole sweeps aggressively upwards starting at the forefoot. This is a shoe that looks like it’s ready to go fast. The fit is surprisingly relaxed given the propulsive shape of the sole. Gone is the secure saddle of the Z4. Instead, the Pursuit has adopted a single-piece stretchy knit upper. My women’s 9.5 seemed a touch too long, so I especially missed the superior lockdown of the Zante 1-4. Derek: I really like the red on this Zante. Previous batches of Zantes have tended to be on the dull side in terms of color schemes, but I think the red upper and crystalline outsole really make the shoe pop here. In terms of fit, I find the D width Zantes to be very snug at true to size and so I usually go up a half size. I went a half size up with the Pursuit as well, and the fit is maybe a quarter finger width long. The step in feel is very comfortable, and I think many people would be tempted to go sockless in this shoe. The fit is otherwise very relaxed for a shoe of its weight class and intended purpose, almost to the point of being somewhat sloppy. Michael: I’m with Derek - the red color in itself makes the Pursuit a contender. Gone are the earth tones of the Zante 4, and in its place a sharp, fast-looking updated version that certainly looks the part. I found my traditional 8.5 to be right in the sweet spot; lacing the shoe brings a midfoot wrap across the laces that really made it feel secure and comfortable. I had none of the sizing issues cited by others - I suspect I’d thus say to size down, if in-between, to avoid the sloppiness. Kathleen: I really liked the look of the shoe right away, and right now where I’m at with running, that’s an important consideration. I appreciate the look of the outsole and it proved to have surprisingly okay traction when I took them out on an icy day. Also felt like the ride was very soft and comfortable. As far as the size, my normal size 8.5 was just a bit snug. So I’d actually disagree with Michael and might have considered sizing up. Hope: I’ll say it. The new Hyposkin upper reminds me of a cable knit sweater. This isn’t a bad thing necessarily, but it’s somewhat incongruous in a performance shoe. It’s very nice looking. For me, the original Zante is the holy grail of non-Nike performance shoes in that it runs smooth, looks sharp, and holds up well even with a lot of use. Few companies can match Nike when it comes to performance shoes that I still want to wear casually, but I think New Balance’s Zante line competes well in the “performance athleisure” space. I wore the NYC Marathon Edition Zante 1 for hundreds of training and everyday use miles and was still getting compliments on the shoe’s good looks when I decided to retire them. The Pursuit is snazzy like that, if a bit less able to hide dirt in the pale pink colorway I received. I like the comfort of the knit, but find myself wishing for a bit more security. This isn’t a sock-like fit; the upper doesn’t stretch to fit your foot and then hug it tightly with strong elastic like the Nike Epic React 1. The Pursuit’s upper starts out the approximate size and shape it’ll still have when you put the shoe on your foot and stretches as your foot moves, so it feels bigger and baggier on the run. Lacking overlays and other structural elements, the simple upper offers little stability. For comfort and casual use this is acceptable, but for a lightweight model with a performance-tuned sole, I’d rather see an upper like the mesh New Balance used on the 1400v5. Derek: A very stretchy knitted upper was used for this shoe. There are essentially no overlays over the mid- and fore-foot, and even the heel counter is relatively soft and pliable. This upper breathes very well for me in my warm and humid conditions in Singapore, but provides no support whatsoever in terms of structure. It is a BIG departure from the uppers of Zantes of previous years. The closest cousin I can think of is the NB Fuelcell Impulse, but even then, the Impulse upper was a little more snug and secure. I would personally have liked a bit more rigidity in the knit over the midfoot to give it a bit more of a performance feel. Having said that, the geometry of the heel counter is such that I did not experience any heel slippage in this shoe even with the upper not feeling very snug. Michael: Knit uppers are the new ‘it’ fashion, apparently, and while not all knits are created equal, I was pretty impressed with the New Balance iteration on this new Zante. The upper is largely unstructured and comfortable in a wide variety of socks, and the knit gives it enough stretch to fit over fat woolen socks (for when it’s -20°) and thin wicking socks (for when it’s 40° - all in the same week, of course). I had no issues with heel slipping or an overly tight forefoot, in fact even upon lacing up the ZP, I was honestly impressed by how comfortable and well-fitting the upper seemed to be. Kathleen: I agree with Hope about the cable knit sweater appearance, which I don’t mind at all. I like the color a lot and could see myself wearing this shoe around with jeans- looks fashionable, like my Nike Epic Reacts. The upper feels stretchy, yet definitely snug to the foot. I experienced a little toe pinching toward the end of my first run, which could be due to them being slightly too small a size for me. And though the knit looks like a sweater, it’s actually really light. I’m usually pretty strictly a wearer of socks with trainers, but I could imagine wearing these sans socks comfortably on a warm day. Overall, really comfortable. Hope: I’ve long been a fan of Fresh Foam, going all the way back to the original FF 980 (I think it was marketed only as the New Balance Fresh Foam, but carried the 980 branding on the side). Fresh Foam pairs well with a full-contact outsole and has been used in many durable, responsive shoes that I’ve enjoyed. It could be that I got spoiled by the softer Fresh Foam GC (Ground Contact) compound used in the New Balance Fresh Foam Beacon, but upon returning to the Zante line after a summer spent sweating out miles in the Beacon, I found regular Fresh Foam to be harsh. I’d like to withhold judgment until winter is over since cold temperatures are likely making the midsole firm up, but I was disappointed by how hard the Pursuit felt underfoot. Hard and totally without any pop or springiness. During testing, I did a 15-mile run in the Pursuit. The next day I felt far more beat up than I expected. I ran a marathon in the Zante 1 and it wasn’t quite enough shoe for me for that distance, but it was fine for mileage in the high teens, so I had hoped that the Pursuit would be able to match that. Derek: The patterning of the midsole looks different from previous Zantes. They seem to tweak the geometry a little every year. My rough estimate says that the compound remains more or less the same durometer compared to previous Zantes though. Something in the low-mid 50s. One key aspect to note is that unlike the Zante, the Pursuit’s midsole rises up just a little bit on either side of the heel so that the heel is cradled a little more. This design element adds a bit more heel stability to the shoe. I did not feel that the lateral midfoot and forefoot are significantly softer than the Zante. Michael: Ah, Fresh Foam! Believe it or not, besides a short stint in the Zante 4 (thoroughly a ‘meh’ experience), this is my first real training in a Fresh Foam-based New Balance. Of course, as Hope mentioned, there is some temperature-dependency here, as many people have reacted negatively to the material in cold temperatures. In my one session of indoor jogging, it didn’t feel altogether dissimilar from the outdoor experience, but it may just take more time to suss out the differences. I like this level of cushion for faster, mid-mileage runs (call it 8-12), and in that regard the cushion is adequate - but I don’t know that I’d pick this shoe for a recovery day or tempo. Kathleen: Like Michael, I’ve never had a New Balance shoe before so this was also my first Fresh Foam experience. I have no complaints- I found it to be soft and cushy with a bit of spring to it as well. I’ve been running in Nike Epic Reacts, as I mentioned earlier, and this shoe was definitely lighter, but still gave me similar cushion. 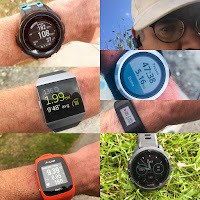 In some ways, the Zante Pursuit is really well suited to the type of running I’m doing now- most days I just run a few miles and try to make them quick if I’m feeling good. When I do start upping my mileage, I would probably want a shoe with more substance and support. The light, cushy foam midsole feels really good for me now when I’m sneaking in a bit of a tempo run after work. Hope: I generally like the crystal rubber. It looks cool and is showing virtually no wear for me. Grip was more than adequate for me over wet pavement. The Pursuit is less flexible than its Zante cousins and more surprisingly, it’s less flexible than the New Balance 1080v9 -- a much beefier shoe. My guess is that the crystal rubber is stiffer than the conventional rubber used on the other Zante models in my collection and the 1080v9. This less flexible compound likely also contributes to the overly firm underfoot feel of the Pursuit. Derek: I think the crystal rubber seems to be more durable than the blown rubber outsole of the regular Zantes. Grip seems to be on par with the old Zantes too; I never felt like the Zante was lacking in grip before anyway. I do think that perhaps a big part of why the Pursuit has better vibration dampening than the regular Zantes is down to this change in rubber outsole compound. In terms of stiffness, the Pursuit feels fairly similar to the Zante to me. Michael: Durability and grip are huge over the winter here in Chicago, and the “crystal rubber” on the Zante Pursuit has both in spades. On icy turns and nasty, salty paths, I had no issues whatsoever. Plus, the translucent effect is cool - it looks blue in some lights and a pure white in others. I’m a fan. Kathleen: I was skeptical when I first saw the outsole of this shoe. Considering it was January in Chicago, it looked like a shoe that would only be suited to an indoor track. Still, it looks really cool and different from any shoe I’ve run in. I was pleasantly surprised when I took my first icy turn around a corner and didn’t wipe out. I’ve essentially only gotten to wear the shoe on snow, ice, or recently snow-melted roads, and I’ve had no scary sliding to speak of. It’s attractive and functional- good enough for me. Hope: I found the Pursuit’s ride to be uninspiring. Its standout feature is the aggressive toe spring which encourages a quick transition. Were that combined with a snug, precise-fitting upper and a more forgiving midsole foam (a tall order for such a lightweight shoe), the Pursuit would be my new go-to middle-distance shoe. I’m always in search of the Goldilocks shoe that’s light, secure, and disappears on my foot so I can get into a flow state and just run for hours comfortably. The Pursuit feels so harsh that with each step I can’t help but be very aware I’m still wearing it. The day after my 15-mile run in the Pursuit I took the Zante 4 out for a 10-mile run. It felt noticeably snappier and more responsive, even on tired legs. Derek: The overall ride of the Pursuit feels softer than the Zante, though not by much. The shoe also seems to transition a little slower than the old Zante. I am not sure of the reason for this, and I think it is likely down to the heel being softer and thus the rockered feel of the toe spring does not stand out as much now. I think NB would have done well to give the heel a little more stack to compensate for the softer heel feel. Another thing I noted is that at faster paces, the heel starts to feel a little sloppy, like the upper leaves the foot a little too disconnected from the shoe. I did not feel this at easy or moderate paces, but I must say that the shoe does not feel good at all at easy paces. At easy paces, the shoe feels dead and a bit slappy. The shoe is marketed as an uptempo trainer/racer and I think it really should only be used as such. I think something like the Beacon or maybe the 890v7 would be a better option for a daily trainer. 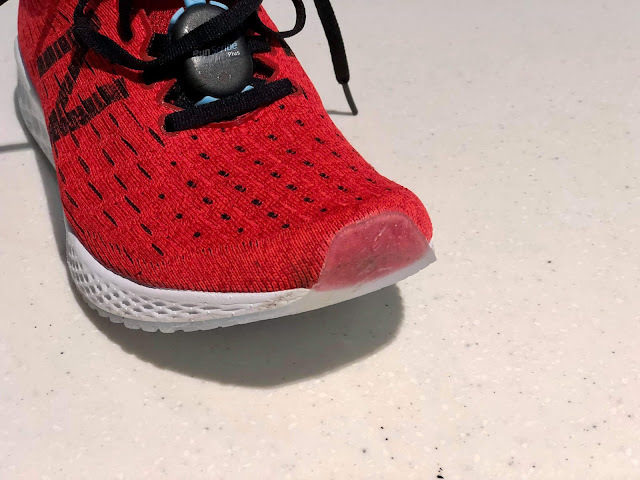 Michael: Curiously (and perhaps unlike my fellow reviewers), I really enjoyed the ride of the Pursuit quite a bit, especially at a faster clip - the stiffer, breakless outsole gives it some sort of “roll” effect that made running a little quicker feel easy. It could be bolstered by the perfect fit I was able to find that others may not have found in this shoe’s last. At really easy paces - post-race cooldowns, for example - I agree that the sensation breaks down. But the Pursuit (at least as far as I can see) wasn’t made to be an all-out recovery shoe; New Balance has other trainers to fill that void. For quicker runs and even light workouts, I found the Zante Pursuit to be a joy, despite any shortcomings. Kathleen: I’m a fan of the ride overall, though I’ll hedge that by saying that I haven’t gone out for any 10 or 15 miles days. It’s very light, a little springy, and has enough cushion to satisfy me. The snug upper and the surprisingly grippy outsole made my foot feel secure. It felt snappy but maybe not plush enough for the easiest days. Derek: Somehow the different elements of the shoe do not quite gel together. It is sort of going in the right direction of moving back towards a lightweight, and softer feel, but the ride is somewhat off. It does not reproduce the same super-quick transition that made the Zante a crowd favorite. If moving towards a softer feel takes away from the transition characteristics, then I feel the trade-off is not worth it. Something needs to be tweaked in the geometry/stack to address this. The other thing is the upper. Knit in a performance-oriented shoe cannot, CANNOT, be too stretchy!! There’s a reason Nike’s Zoom Fly Flyknit is stretchier than the 4%’s Flyknit, which is stretchier still than the ultra-snug Vaporfly Elite knit. Knit is ok. It allows for some really snazzy designs and colours, but NB has got to improve the foot hold here. Otherwise, for me, the outsole is just about perfect – durable and gippy. -0.2 for raised midsole at the heel. It may help stability for some but it pinched my foot a little at the outer part of the midfoot. Hope: This is a case of “I love you, so I’m going to tell you the truth about yourself.” If New Balance is doing away with the numbering and the Pursuit is the successor to the Zante 4, I’m disappointed. The model seems to have lost its way. For those looking for a light, fast, responsive shoe, the 1400 fits the bill better than the Pursuit. Those looking for a lightweight model that can take on daily trainer duties will be a lot more comfortable (and have a lot more fun) in the Beacon. I’m just not sure where the Pursuit fits into the New Balance line or why it’s a better choice than its two closest cousins. The Zante started life as a svelte, flexible shoe with a locked-down midfoot and enough outsole rubber to last for several hundred smooth running miles. It felt different from other running shoes on the market when it was launched -- in a good way. I loved it so much that I was surprised to read of people’s frustrations with the Zante. Perhaps it was in response to those negative comments that New Balance beefed up the Zante, making it heavier and stiffer with each update (the Z4 has a stiff heel counter and a saddle made of thick material). The Zante isn’t for everybody. And that’s okay. A running shoe designed to please everyone won’t please anyone. With the Pursuit the Zante line seems to be going back to its roots, but it’s gone too far the other direction, now having too little structure to its upper and a new sole compound that doesn’t play well with the Fresh Foam and the severe toe spring. I’m going to keep my eye on the Zante Pursuit line to see how it evolves. With an eye-poppingly light weight (6.81 oz for women’s 9.5! ), when they get it right, this shoe could be lightning in a bottle. It’s just not there yet. Michael: I may be the lone dissenter in this case, but I quite enjoyed the Zante Pursuit. It’s hard to classify - not a racer (too heavy, not responsive), not really a technological showpiece (no TPU or space-age foam?) and certainly not a recovery shoe (it can be uncomfortable at slow paces) - and yet, I have a bit of a soft spot! The knit upper fits my foot perfectly, and the roll-off effect from the stiffer outsole and reasonably soft midsole really works for me. It’s not a perfect shoe (and it’s perhaps a bit of a zig from the usual Zante zag) but it’s one I have enjoyed, and will continue to enjoy, running in. Kathleen: I’m pleasantly surprised by the Zante Pursuit and it might have a lot to do with where I’m at in my running life. I’m usually a fan of a much more supportive shoe, but I enjoyed how light weight and snug to my foot this shoe felt. For me, something like the Nike Free has been the absolute lightest shoe I’ll take for a run, but this gave me the lightness as well as some snap and cushion, which have been the feelings I didn’t want to sacrifice for a light shoe. 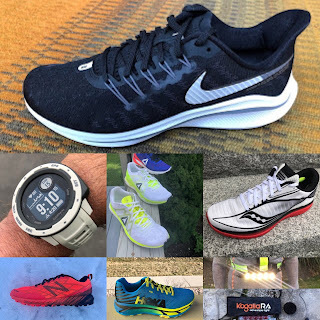 I don’t know if there is enough stability or substance for this shoe to become my everyday trainer, but if I want to feel quick over a few miles, I’ll definitely choose the Pursuit. Hope: The Zante 1 is the best Zante in my book. The Z1-4 all compare favorably against the Pursuit and are probably on sale. Derek: I agree with Hope Zante v1 was the best. I think the Pursuit is a more forgiving trainer but it comes at the expense of that fast transition-feeling. The Pursuit has a comfortable but less effective upper. From a performance standpoint, I think the Zante is still an overall better shoe. Hope: The Beacon is slightly lighter and more responsive and a lot more comfortable underfoot. I especially love it for long runs. It narrowly missed my list of Top Shoes of 2018. I’d pick the Beacon over the Pursuit every time. Derek: The Beacon is a bit lighter and a more cushioned shoe, but the low drop makes transitioning sluggish for me. I feel that my feet turnover a little better with the Pursuit. Which is better depends on what you want to do with the shoe. I’d do a hard tempo with the Pursuit but not with the Beacon. Hope: The Kinvara 10 will be hard for any shoe to beat, especially the Pursuit. Both are firm shoes at first, but the K10 softened up beautifully for me after a few runs. I prefer the Kinvara’s upper which has great hold with minimal overlays. Derek: the Reebok Fast is lighter and feels more cushioned. Both have that pesky raised midsole at the heel so not for wide feet. No question the Reebok fits and feels more efficient. Hope: The Pursuit gets left in the dust by the soft yet responsive Boost of the Adios 4. Even though the Pursuit is far and away the lighter shoe, it doesn’t feel nearly as fast. It’s worth noting that the Adios is about $30 more expensive than the Pursuit. Hope: Both are light, firm shoes. I prefer the Zoom Streak 6 (regular -- I haven’t tried and therefore cannot speak to the Flyknit version) for its more race-tuned upper. Derek: The Streak 6 has the livelier forefoot, but much harsher heel compared to the Pursuit. These are shoes suited for different types of runs in my book. Not really a fair comparison. Pursuit more for longer tempos, Streak more for short intervals. Pursuit definitely more accommodating for a sloppier running form. Hope: I have to choose the outstanding Razor 3. It has a much softer feel and more bounce so it’s more forgiving over long distances. If the New Balance team sharpens their pencils and gets to work on the Pursuit, the Razor 3 is the model it could best compete against given the price point and weight. Derek: No question the Razor is the livelier shoe, although I think the Pursuit feels more forgiving over longer distances at a slower pace. The razor feels best at race pace or fast tempos. Kathleen: The Zante Pursuit feels lighter and faster to me. 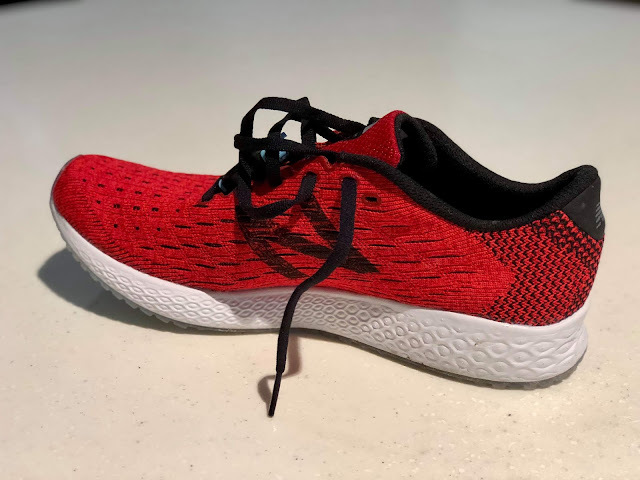 However, it’s not like the Epic React is chunky or heavy by any means, so there’s nothing that the Zante Pursuit can do that the Epic React cannot. I’d choose the Pursuit for shorter days. Michael: The Iten and the Zante are both lightweight, performance-oriented trainers that aren’t-quite-racing-flats. Both will handle well, and ultimately it is a both of a toss-up: I’d take the more versatile Iten if it were my only trainer, but the Zante Pursuit if it was part of a lineup. Across weight, comfort, and durability, these really are competitors! I had super high hopes as a Z1 soopa fan. Maybe the Solas will be a little different... but I get the sense that the Z1 was lightning in a bottle and it's just gone now. I've moved onto the Zoom Fly SP's (and gonna take a chance on the Zoom Fly FlyKnits soon – a pair is sitting on ice ready to go). Maybe one day, Zantes will come full circle to their original magic. Was looking at these as potentially my next casual everyday shoe to replace the Pegasus 35. Seeing that y'all thing it is a tad hard would these not be a great option? @Will - it's worth trying on, but I'd lean towards no. The upper was (to me) comfortable enough to make it worth it, but the stiff outsole may produce a weird feeling. How does it compare with the NB fuel cell impulse which i love for speed intervals? Hi guys, did your NB pursuit reviewers find any comparison to the more uptempo NB shoes like 1500 and 1400? Thanks!